Utahns blast data-snooping program PRISM and the new Utah Data Center. Lennie Mahler | The Salt Lake Tribune Pete Ashdown, founder of XMission, speaks to a crowd of protesters and media about the PRISM program, which tracks and stores citizens' personal phone records and internet usage metadata. 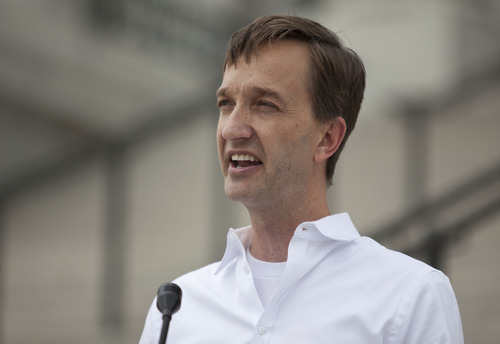 A crowd of about 25 people protested the NSA program on the steps of the Utah State Capitol on Wednesday, June 12, 2013. 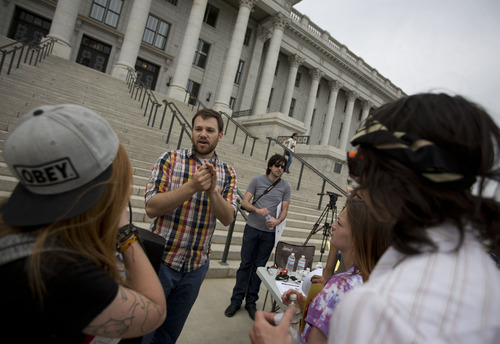 Lennie Mahler | The Salt Lake Tribune Protesters gather at the Utah State Capitol on Wednesday in opposition to the PRISM program, which tracks and stores citizens' personal phone records and internet usage metadata. Lennie Mahler | The Salt Lake Tribune A protester who asked not to be identified speaks out against PRISM, and NSA program that tracks and stores citizens' personal phone and internet metadata. About 25 turned out for a rally Wednesday at the Utah State Capitol. Lennie Mahler | The Salt Lake Tribune Pete Ashdown, founder of XMission, speaks to a crowd of protesters and media about the PRISM program, which tracks and stores citizens' personal phone records and internet usage metadata. 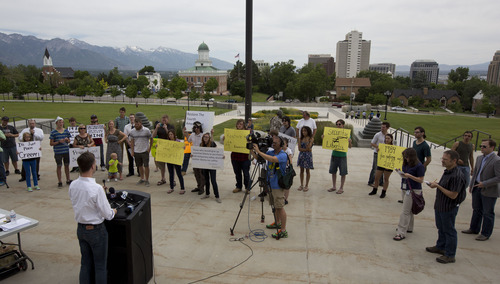 A crowd of about 25 people protested the NSA program on the steps of the Utah State Capitol on Wednesday, June 12, 2013. 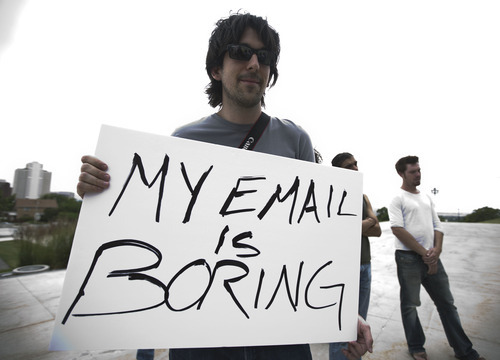 Lennie Mahler | The Salt Lake Tribune Dan Garfield speaks with protesters about encryption software and other ways to protect personal data. About 25 turned out for a rally at the Utah State Capitol on Wednesday to oppose PRISM, an NSA program which stores citizens' personal phone records and internet usage metadata. Lennie Mahler | The Salt Lake Tribune Dan Garfield speaks with protesters about encryption software and other ways to protect personal data. About 25 turned out for a rally at the Utah State Capitol on Wednesday to oppose PRISM, an NSA program which stores citizens' personal phone records and internet usage metadata. 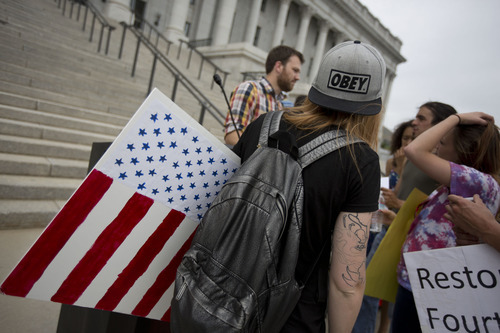 Lennie Mahler | The Salt Lake Tribune Protesters gather at the Utah State Capitol on Wednesday in opposition to the PRISM program, which tracks and stores citizens' personal phone records and internet usage metadata. 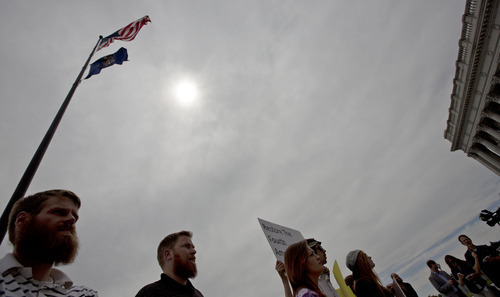 Lennie Mahler | The Salt Lake Tribune Protesters gather at the Utah State Capitol on Wednesday in opposition to the PRISM program, which tracks and stores citizens' personal phone records and internet usage metadata. Lennie Mahler | The Salt Lake Tribune A group of protesters, who asked not to be identified, speak out against PRISM, and NSA program that tracks and stores citizens' personal phone and internet metadata. 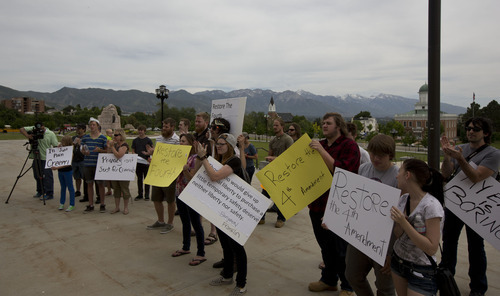 About 25 turned out for a rally Wednesday at the Utah State Capitol. Lennie Mahler | The Salt Lake Tribune Pete Ashdown, founder of XMission, speaks to the media about the PRISM program which stores citizens' personal phone records and internet usage metadata. A crowd of about 25 people protested the NSA program on the steps of the Utah State Capitol on Wednesday, June 12, 2013. Privacy advocates in Utah are predicting a growing protest movement over what they call widespread and intrusive U.S. government spying on Americans. 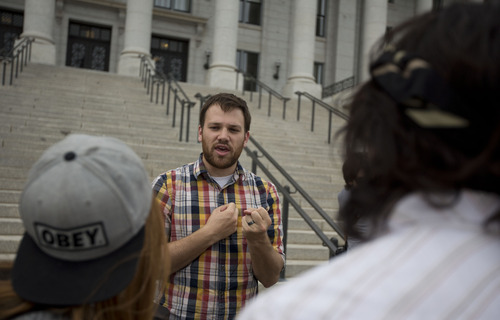 About 40 people rallied Wednesday at the Utah Capitol to focus attention on dragnet searches and surveillance programs known as PRISM and Boundless Informant. The rally followed recent leaks detailing FBI and National Security Agency collection of massive volumes of data from phone calls, emails, texts, Web searches and other personal information. President Barack Obama, leading members of congressional intelligence panels and top law enforcers defend the data-gathering as essential to foiling terrorist plots. Participants also demanded answers and more effective oversight of how government agencies will use the new Utah Data Center, the 1-million-square-foot, $1.2 billion data facility scheduled to open this fall at Camp Williams in Bluffdale. "How is it that our congressional representation signed off on a billion-dollar facility in Utah with very little idea as to what it does?" asked Pete Ashdown, co-founder and owner of XMission, Utah&apos;s oldest Internet service provider. In interviews with The Salt Lake Tribune, top NSA officials have acknowledged the new Bluffdale site will house unprecedented amounts of data storage and computing capacity, but said that keeping its exact purpose secret is vital to national security. NSA officials have said they chose Utah largely for its inexpensive electricity, among the nation&apos;s cheapest. 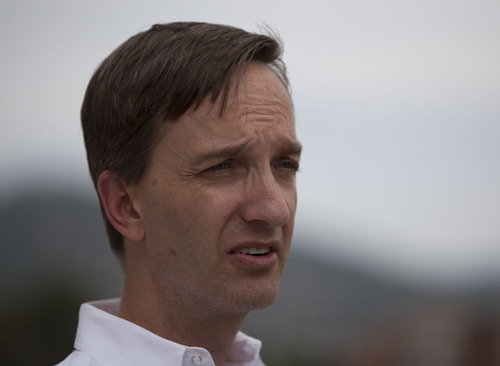 During a tour of the site in November, they also cited Utah&apos;s patriotism as a reason for picking the Bluffdale location, Ashdown said. "Patriotism is open to interpretation," he said. "When the NSA executes broad surveillance on American citizens, they are harming my idea of this country." In contrast, a recent poll indicates most Americans support the government&apos;s data surveillance. A survey conducted June 6-9 by Pew Research Center found that 56 percent said that NSA tracking the telephone records of millions of Americans is an acceptable way for the government to investigate terrorism, while 41 percent said it was unacceptable. But rally attendees on Wednesday instead said the surveillance tactics, several of them approved secretly by federal judges, were a gross violation of U.S. citizens&apos; legal rights and trust. Salt Lake resident Varisha Zayin said she was "completely appalled" by revelations in documents leaked to The Guardian and Washington Post newspapers by former CIA and private government contractor employee Edward Snowden. "Our Constitution appears to stands for nothing," Zayin said, "and so many people bury their heads in the sand or don&apos;t believe it or don&apos;t want to put the effort into having their voices be heard." Coordinated protests of the newly revealed spying methods are planned across the country for July 4, organized by the Electronic Frontier Foundation and other free-speech, privacy and digital-rights groups. "Our numbers may be small," said Ashdown, "but they are going to keep growing."